If you are planning to take a tour in South Korea on March, you must check the newest update on their requirements for tourist visa. 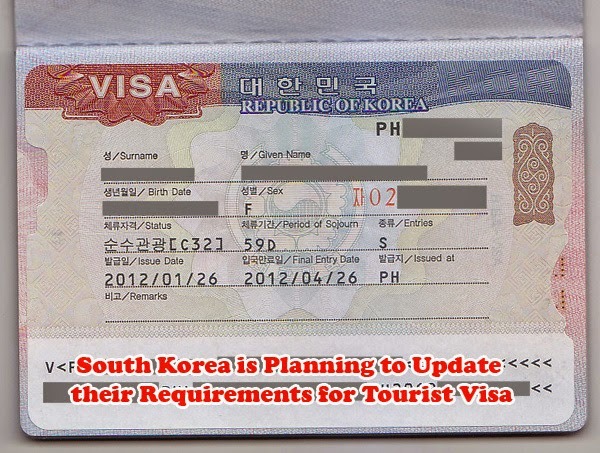 Embassy of the Republic of Korea had updated their requirements and added a few documents to be filed effective on March 1, 2015. Before, there were only three required documents to be presented to avail a tourist visa: . Certificate of Employment, Bank Certificate and Income Tax Return copy. After March 1, 2015, more information has to be added. 1. Your Certificate of Employment must include the tourist visa applicant's job position, date he or she was hired, compensation, address, office landline number ( be sure it is not a cell-phone number as it is not allowed by the embassy), and e-mail address. 2. Your Bank Ceritificate must include the account type you are currently using, current balance, account opening date, and the 6 months average balance (ADB). 3. The newest document that must be added is the Bank Statement that must be either the original or certified true copy of bank statements or passbook for the recent 3 months. Finally, the Income Tax Return copy must bare personal tin number and not just the company. Be reminded that all documents had been issued only 3 months prior to the application for tourist visa. Documents issued longer than 3 months will not be entertained. Your passport must be valid for at least six months while applying. If you are applying as a family for tourist visa, you must apply to only one window and do not separate those applying for the first time. Don’t forget the Proof of Relationship such as the birth certificates or marriage certificate. The Korean Embassy is situated right at the corner of Upper Mckinley Rd. And the C5 Rd, just beside British Embassy.